Apple is seeing "continued success" in steering people towards its most expensive iPhone models, this year namely the iPhone XS and XS Max, J.P. Morgan's Samik Chatterjee said in an investor memo obtained by AppleInsider. Meanwhile, Apple saw its services revenue -- representing things like the App Store, Apple Music, and iCloud -- grow to nearly $10 billion. We won't know if unit sales are predictable unless Apple reports them. The health of a platform's "ecosystem" depends on knowing unit sales. Business investment is a function of predictability. If Apple thinks it can somehow go it alone, it's going to get what's coming to it. I don’t understand “the health of a platform’s “ecosystem” depends on knowing unit sales.” How do you come to that conclusion? To me that sounds like if Apple had NEVER told us how many iPhones had been sold then people wouldn’t buy them or spend money in the App Store or on iCloud storage or on Apple Music, etc. How does the health of the ecosystem rely on Apple stating units sold? Edit: Apple has never stated unit sales of Apple Watch, but that doesn’t seem to be hurting sales. Didn’t Cook specifically call out wearables as having large gains last quarter? So not better built and designed products, superior operating systems, security, privacy, eco-system, higher customer satisfaction, in-house CPUs on the rise that look like they will dominate the industry thus higher margins ... I could go on, no a typical Wall Street analyst comment. Good increase the price by at least $250 each year. Price them outside the reach of the plebs who used to buy something like a 6S. The days of catering to those 'class' of people are gone. Cook is aiming for a new demographic who have money and class. Things change! I think Job's said he wanted the iPhone to be a phone for everyone? Well those days are over. If you don't like it then get a POS Android phone. Can't afford it? Get off your backside and get a better job. Apple caters for a new class of consumer so get used to it. The health of the platform depends on knowing install base not unit sales. In the future a more relevant metric would be the number of services subscribers and/or ARPU. Bottom line is prices are going up. Whether someone can afford something isn’t dependent on whether that something is better or not. Sure some people’s buying decisions will be based on value. But for many others price alone matters. It’s not like people’s wages are skyrocketing or they have all this disposable income they didn’t before. You feel the prices are too high WE GET IT! All 5 of your posts are the same bullsh**. Nunzy is that you? Back to fake fanboy reverse troll again?! AAPL price is tanking. With good reason. As one analyst said, questioning Cook, not reporting the unit sales says Apple has something to hide. Cook’s grocery cart analogy falls flat. Yes, the value of cart is important, but no grocery store can survive if they don’t know what items are selling, when to reorder, and how much to reorder. Now, like many, I don’t have a great deal of respect for the analysts. Unit sales is not the defining number that should be used evaluate Apple, though it’s the defining number which they use to write useless and baseless opinion pieces. Apple is different now, and unit sales can no longer grow exponentially; steady and linear is good. Apple has become somewhat of a utility, and unit sales will reflect that. Apple need to reverse their decision, and do a better job of telling the story about them becoming a utility, and what they offer. It seems that was the story Jobs always told. Not sure that's entirely true. Most people I know would save up for something better, I know I always have. Most people don't need any of Apple's latest product at a specific point in time so better to wait a while until a few more pennies are in the piggy bank . Fear not AAPL will be back to a new all-time high before long. It's a wonderful buying opportunity. Maybe. A $999 retina Mac laptop (whatever they called it) would’ve sold like hot cakes AND taken share from Wintel. And it’s not like $999 is cheap. I just think the argument that the products are better (thus the price increases are warranted) doesn’t matter if they’re pricing people out of the Apple market. 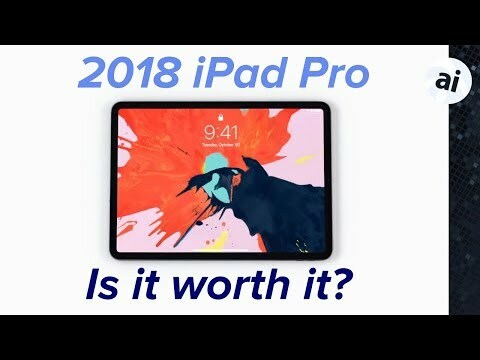 Sure the new iPad Pros look amazing but the base models are 23% and 25% more expensive than the ones they’re replacing. How many people’s take home pay went up that much in the last 2-3 years? is anyone surprised by this? This is the natural [analyst] conclusion of their announcement yesterday that they are no longer releasing unit sales numbers. Unit sales have plateaued so Apple, Samsung and the rest drive unit prices up. People look at the new prices and decide to hold onto their devices longer between replacements. So manufacturers run costs up to maintain profits. So people keep their devices longer. So how are Amazon 's echo/Alexa sales? Or Samsung? Or Pixels? AAPL is tanking because analysts realize this was the last quarter they could manipulate the stock price based on their wrong unit guestimates. Now they have no excuses on their wrong revenue guestimates when Apple sets new records in the near future. . The market is so filled with junky look-alikes, Apple needs to maintain the "premium" label, and higher prices is one way to do that. I just wish they kept the Mac mini price lower. I know it packs a real punch, but it's no longer the budget computer it started out to be. I've said this repeatedly, and will say it again: I truly wish Apple would just STOP giving guidance. It'll join a perfectly fine list of successful companies, such as Google, Coca Cola, Berkshire Hathaway, Goldman Sachs, J P Morgan-Chase, Facebook, and Unilever. In fact, most people don't realize that a vast majority of the companies in the S&P500 -- over two-thirds -- do not provide quarterly guidance. In a mature / saturated market, unit sales becomes irrelevant because you only grow so much. This is where the size and strength of the total user base becomes a more important with respect to Apple’s ability to grow in other areas like services and accessories. This is not reflected in yearly unit sales. What I’d like to see Apple provide are numbers indicating the size of the installed base for iPhone, iPad, Mac, Watch. I disagree. If investors just rely on analysts' made up guidance, the stock would get killed every quarter.